Like you, I hate passwords. They are a nuisance, a waste of time, and inevitably hackable—unless they are complex combinations of letters, numbers, and symbols. And who has time to think up, let alone remember, a different complex password for each website they use? The result, of course, is that most of us use passwords that are easy to create and remember, which often means weak. As an information security professional, I know all too well the dangers of a weak password. They can be cracked in seconds, leaving your—and your clients’—personal financial information vulnerable to unscrupulous cyber criminals. So how can you break the cycle? It offers multifactor authentication. The only way I recommend using LastPass is by enabling one of its multifactor authentication options, which will prompt you to enter a second piece of identifying information (e.g., a passcode sent to your smartphone) in addition to your password. It’s secure. 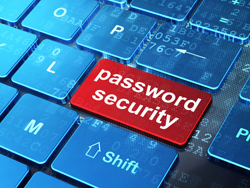 LastPass uses government-level 256-bit encryption with salted hashes. Because all of the encrypting and decrypting of data to transmit your passwords happens on your computer, not where the passwords are stored, this gives you greater security. It remembers your passwords for you. Once you download the app and set up your account with a master password (the last password you have to remember! ), you can start browsing for and saving all the sites and username/password combinations you currently use. The next time you visit one of your saved sites, LastPass will autofill your login information for you. It protects you from yourself. LastPass’s password generator creates unique and strong passwords to replace the ones you’re currently using. It offers credit monitoring alerts. When the Heartbleed vulnerability made the news earlier this year, LastPass spearheaded the effort to inform users about which passwords they should change. Now, LastPass will alert you if any of your e-mail addresses have been involved in a data breach. It allows you to monitor how secure you are online. The LastPass Security Challenge feature helps you audit your overall online security, showing you if you have weak or duplicate passwords in use, so you can update them to stronger options. It’s free. The above features are provided at no cost. There is a premium version, offered for $12 a year, that gives you the added convenience of access to all of your stored sites and passwords from your mobile device. It also enables a shared family folder, so you can more easily manage joint accounts. Keep in mind: Although your LastPass master password will be the last password you need to remember, you need to ensure that it is strong and unique, combining upper- and lowercase letters, numbers, and symbols. And make sure you don’t forget it! If you do, your vault will have to be reset, and all of your stored passwords will be lost. If you’re like most people, it’s getting harder for you to keep up with all of your usernames and passwords, which can lead you to let your guard down and make due with a simple password, when you know you should use something more complex. LastPass is the solution you need to manage your login information and keep it safe from prying eyes—all from one convenient location.